Daily Turismo: DT Reader Question: What is the best car named after a President? DT Reader Question: What is the best car named after a President? The Daily Turismo is planning an epic Presidents' Day special and to kick it off - we want to ask our readers what is the best 'presidential' car. Clearly, anything with the name Lincoln or Ford in it qualifies, but what about noted two-time (non consecutive) president Grover Cleveland and the Cleveland Motor Car Company or any number of Ford product powered by the Cleveland small block V8. To participate in our survey, send us an email with a car named after your favorite president or hit us up in the comments below. 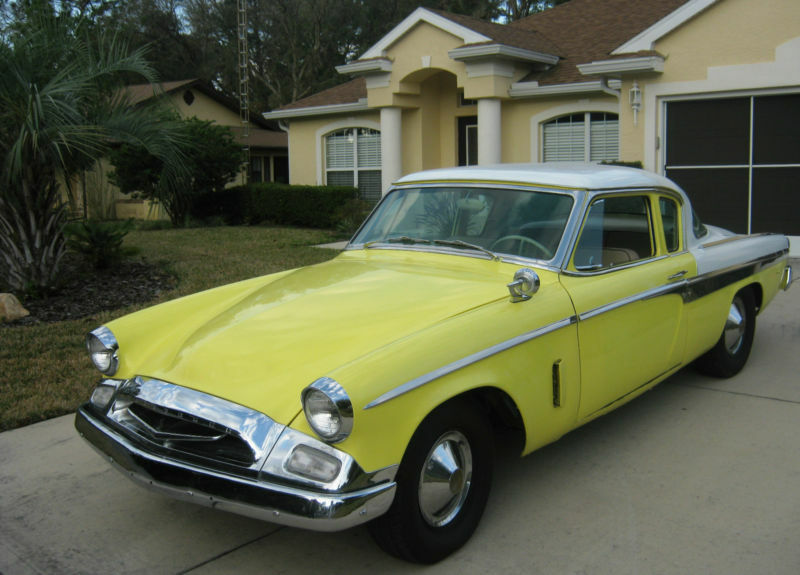 Another option is to send us tips for the best Studebaker President Coupes for sale on ebay...such as this 1955 example located in Homosassa, FL, currently bidding for $8,865 with a few hours to go. Easy- 1956 Lincoln Mk II. Beats the hell out of the lesser American Motors Ambassador and Dodge Diplomat!! ~ Bush Motor Co. Chicago Ill. 1916- 1925. This Bush Co. bought other named cars and re-badged them "Bush" then they were sold as a Bush Automobile by mail order. excellent business model, better on a fashion model.
. does slick Willys count? ~ Napoleon? (1916–1919) i guess he was an emperor but you never said American president. Lovin' the slick Willys Scot! Studebaker also had a Commander, since the president is commander-in-chief. Also, Australia gave us the HomeBUSH and Brazile made the Democrata (democrat in Portuguese) and finally, my favorite, the Taylor Aero Car made in the US in 1949. It was a flying car who's wings folded behind it for road use. There were 6 made and only one survives. Cars named after Presidents? There are some die hard members of the Tea Party out there who think everything produced by GM is an "Obamamobile"
~ damn, guys. sorry i let this slip my mind! being a bit AMC-psycho i submitted 'George Romney's Personal '64 Rambler Classic' the other day but it didn't make the cut. minus 2 points for slow-on-the-draw. ~ don't ask me why Taft is pictured opposite a car that clearly reads 'International Harvester' up front. i can't tell you. doh... ! I looked all over for a car named Dalai Lama but couldn't find one. I don't want to drive a car named after a president - or any politician that tells non-stop lies... even on presidents day. Perhaps a car partially designed by Salvadore Dali?